We’re making t-shirts again! We’re using Kickstarter, because it’s worked pretty well for us in the past, and because late last year we promised to do a t-shirt Kickstarter in February of 2018. I know, I know. It’s not February anymore. But we were totally working on this during February, so depending on your definition of “do” (specifically, for definitions that do not require the word “launch”) we made good on our word. We just sent the files for Random Access Memorabilia: Schlock Mercenary Book 13 off to the printer¹. Yes, we sent those about three months later than we wanted to, but they’re off, and we know what went wrong with our process. It’ll be the first book we publish in 2018. Our goal is to publish two more: Broken Wind, and Delegates and Delegation. The current plan is to gang those print jobs together, so that you can save money on shipping while still getting both books as soon as they release. Sandra has the core content for those books—two and a half years of daily TIF files—at her workstation, and is laying them out in InDesign. I’ve got a stack of notes for making cover art, and we’re looking at bonus story outlines together. Meanwhile, running in parallel, we’re planning a t-shirt project. Designs are being refined, and we’re maybe a month out from a shirt-specific Kickstarter. 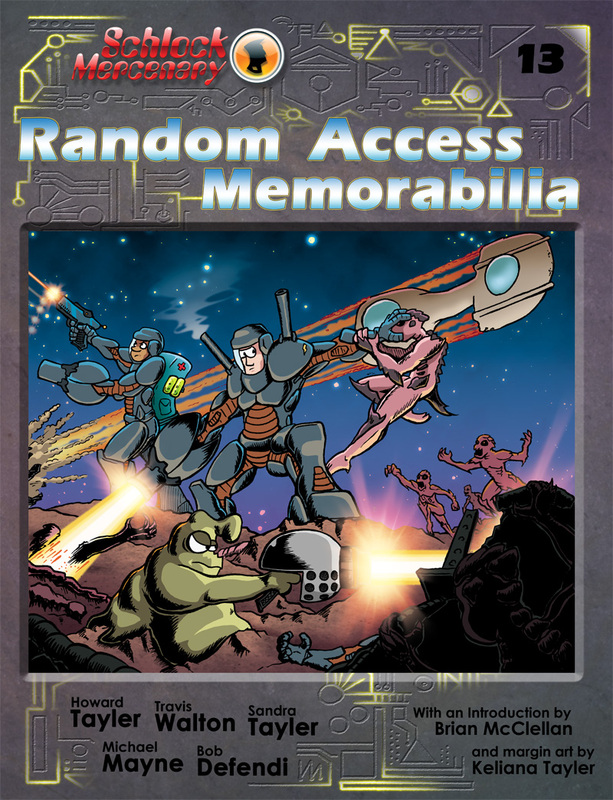 This was one of the stretch goals from the Random Access Memorabilia project, and we’re excited to make good on it. 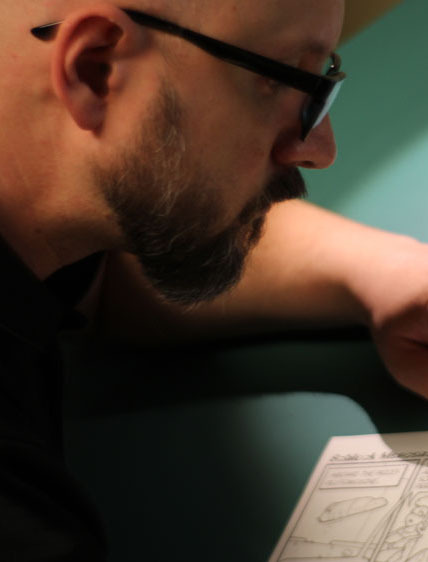 We’ve engaged a designer, and have budgeted for prototypes and all that other stuff that needs to happen in order to ensure that we only make the best stuff. 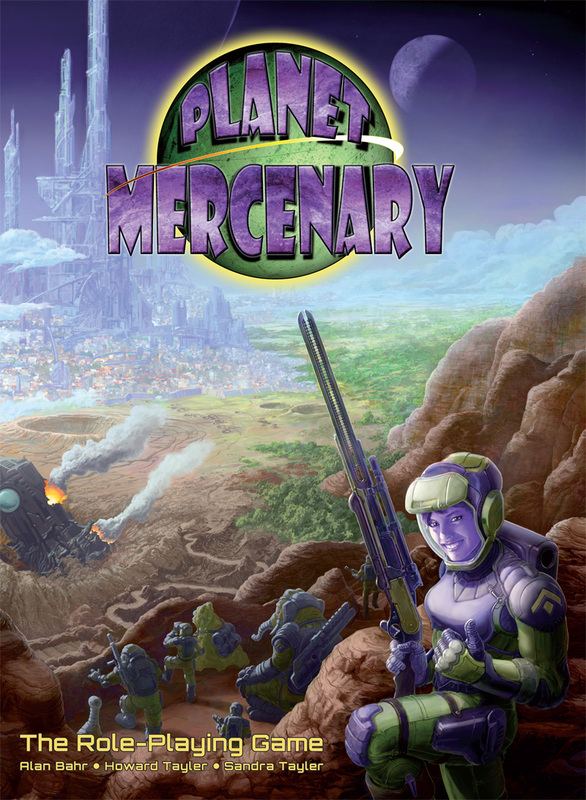 Alongside that we’re designing the Planet Mercenary 2018 GenCon Adventure, which will be a single-session module for four to eight players, similar in scope to “The Damaxuri Deception” and “Size Might Matter,” but along a different mission continuity². And of course there’s the daily comic, which continues to update daily despite the universe’s best half-handed attempts to interfere with the schedule³. These daily installments are significant, because the current outline for the Schlock Mercenary mega-arc has the story of Tagon’s Toughs wrapping up triumphantly just two and one-half books from today. We’re about halfway through Book 18, and “The End” lands at the end of Book 20. We’re writing our way toward that point right now. As I’ve said before, “The End” will not mean an end to daily updates. It will simply bring closure to most of the characters we’ve been following for (by then) twenty years. The next day there will be another Schlock Mercenary strip, but familiarity with prior art won’t be required to enjoy it. This brings me back around to our 2018 goals. If we release three print editions this year, then the current online volume, Book 18, will end in the same calendar year as the publication of books 13, 14, and 15. Should the schedule work out well, we shall endeavor to do it again in 2019, with Book 19 ending online in the same calendar year as the print publication of books 16, 17, and 18. You see where this is leading, right? Our ultimate goal is for the print editions of books 19 and 20, the final volumes in the twenty year (seriously, it feels weird saying that) telling of the story of Tagon’s Toughs, to be available at about the same time Book 20 wraps up on the web. Our 2018 goals are tied very closely to our goals for 2019 and 2020, and the next three years can be considered on some level as a single project which fulfills the past eighteen years of work we’ve done. This is ambitious, but among the many things we’ve learned in the last eighteen years it’s that we can do difficult things, and things that younger versions of ourselves would have thought impossible are merely challenging. New Year’s Resolutions are lovely and useful, but Sandra and I don’t currently have the luxury of planning everything one year at a time. ¹ The cover image here is not the final image. It just happened to be handy. ² The cover image here is from the Planet Mercenary core book, and coincidentally depicts a bit of the landscape upon which the current outline places the adventure in question. ³ Aside from six bouts with pneumonia, a separated shoulder, and that one time the UPS exploded in the data center where schlockmercenary.com lived, the universe hasn’t really been trying all that hard to stop the daily updates. And I’m quite happy for the lazy universe to keep not throwing meteors. The current difficulty level is just fine, thank you. Final Day for “by Christmas” Delivery! UPDATE: This aired on Monday the 18th, so the final day has kinda passed. If you’re ordering Schlock Mercenary merchandise, and you need it delivered by Christmas, you must place that order today, and choose Priority mail as the shipping option. UPDATE: We have the applications we need! Thank you for your interest. Sandra and I are looking to engage the services of a designer for a new round of Schlock Mercenary t-shirts. This will be a work-for-hire project that pays a flat fee for each design, plus a slice of the purchase price for each shirt sold. We want awesome designs that will work well with silk-screening, discharge printing, and other fabric-related technologies. Familiarity with Schlock Mercenary is not required, but is always kind of nice. For scheduling purposes, the bulk of the work will be done during January of 2018. Applicants should email schlockmercenary@gmail.com with samples of their work and a short resume that highlights experience in this space. A link to an online art portfolio is a plus. We’ll be accepting applications through December 30th, or until the position has been filled.